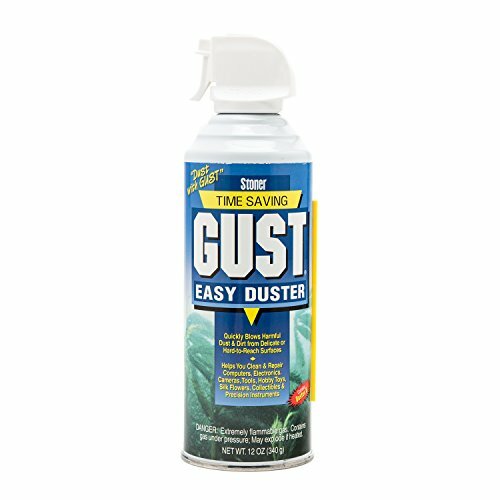 Stoner GUST Easy Air Duster 12 oz. Aerosol Can is like having a portable air compressor that you hold in your hand. Stoner's Gust Easy Air Duster is a blast of extremely clean, filtered, moisture-free, high pressure propellant that won't scratch or harm glass, optics, metals, plastics, rubber, or delicate electronic equipment. With GUST, there's no need to wipe. Simply blow away dust, dirt, and contaminants by squeezing the trigger. GUST's unique "variable pressure" trigger lets you control the dusting force. WARNING: This product can expose you to chemicals which is [are] known to the State of California to cause cancer and birth defects or other reproductive harm. For more information go to www.P65Warnings.ca.gov. If you have any questions about this product by Stoner, contact us by completing and submitting the form below. If you are looking for a specif part number, please include it with your message. Blow Off (NF8-1188 134a Duster - 8 oz.